There are a number of ways to measure fetal heart rate, such as ultrasound, doppler , and fetal heartrate monitor. All of these are forms of sonography, and therefore, they work by measuring sound. You can enter your baby's fetal heart rate and gestational age into BabyBPM to predict gender from fetal heart rate. 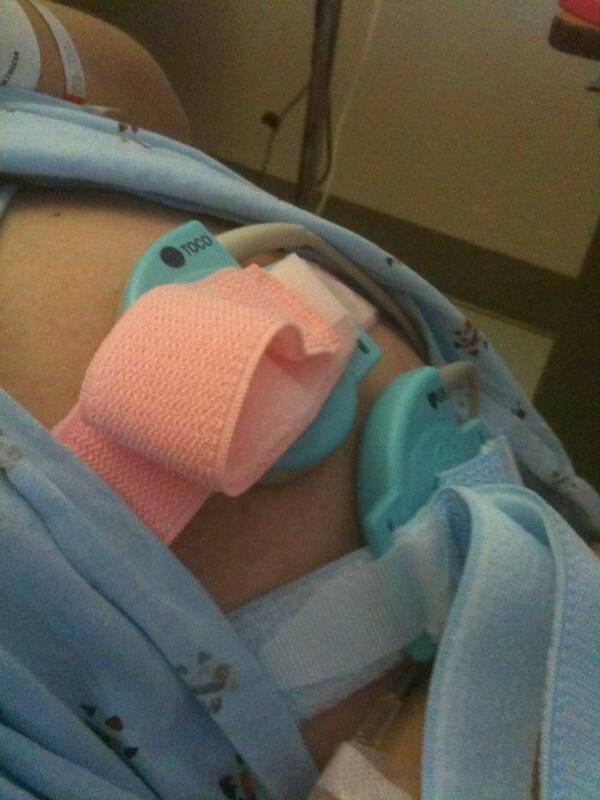 A fetal heart rate monitor monitoring fetal heart rate and contractions on a pregnant woman nearing labor. A graph of fetal heart rate and contractions. 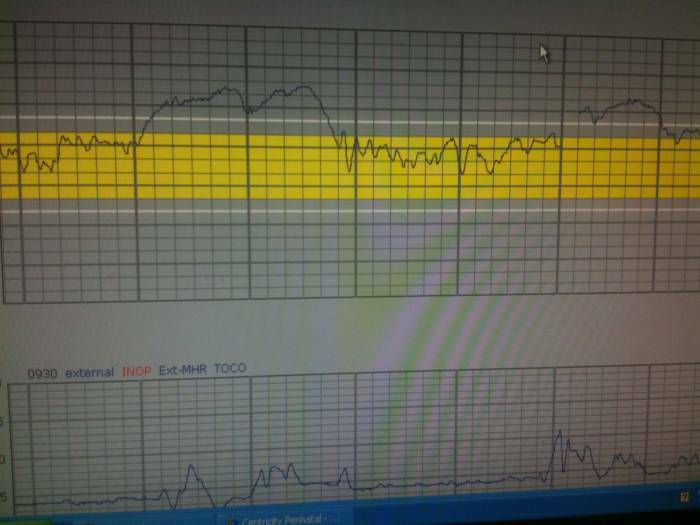 The top graph is heartrate, and the bottom graph is measuring contractions. The yellow band shows normal heartrate for a late term fetus (approximately 120-150). The portions of the chart where the heart rate is above the yellow band show a accelerations of heart rate and are also known as "accels." New! Find your baby's heartbeat yourself, whenever you want!